One of the magical flower Kin, Prince Sels has a terrible problem - he has no magic. Forced by his mother to tour the Empire in search of his magical bonded, Sels is terrified of what will happen if he returns home empty-handed. A runt and joke of her pack, Arara is dreading the coming-of-age hunt. Born telepathic and telekinetic, Arara is terrified that her superstitious pack will tear her apart if she accidentally reveals her secret. When assassins and dark plots threaten the Queen, the Prince and the runt must work together to save the empire before it is too late. 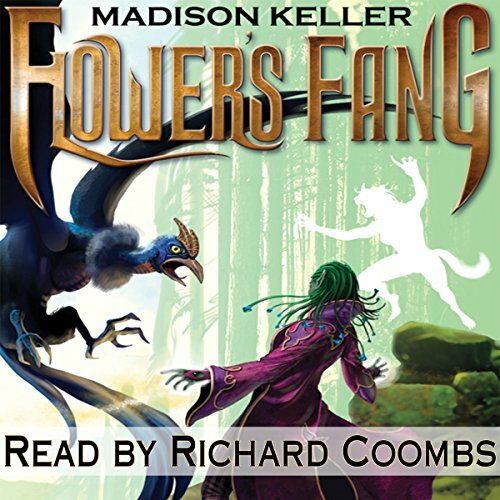 Flower's Fang emerges the reader in an original setting. With a cast of magical plant folk and telepathic canine folk, the intrigue grows as you learn about the society and culture of these peoples.